The Fox in Flats “Pin-Up” Dare – to wear some sort of pin or brooch every day for a week. Day 1 of Pin-Up Dare: Added sparkly pins to my stilettos. 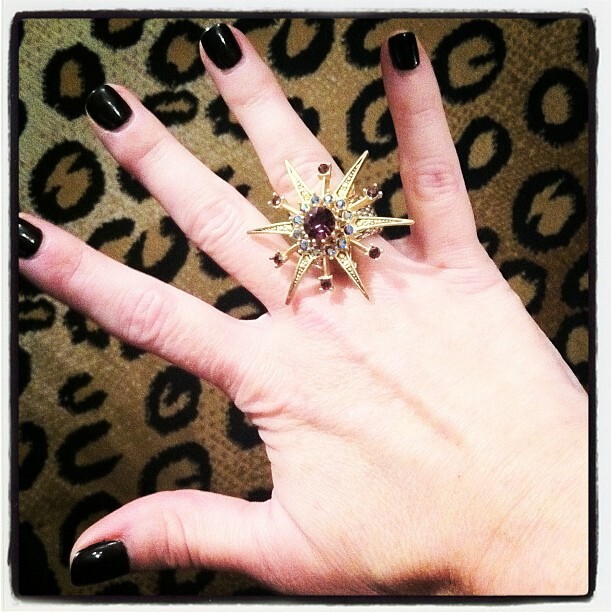 Day 2 of Pin-Up Dare: Attached a pin to a simple ring to make it a “bling” ring. 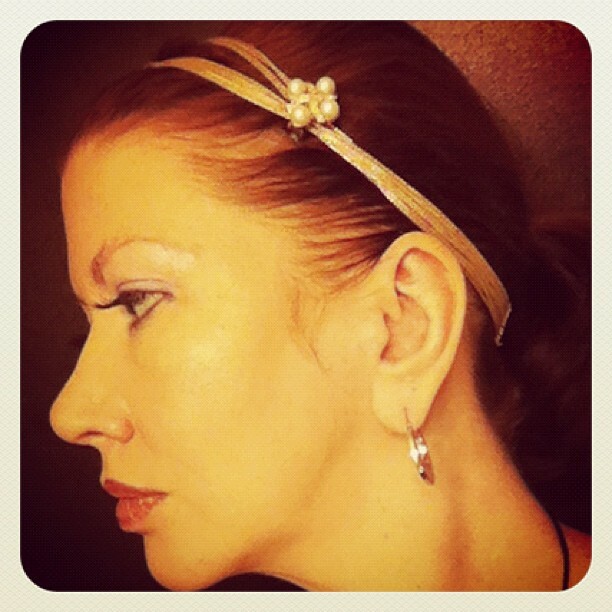 Day 3 of Pin-Up Dare: Added an antique clip-on earring to my headband. Day 4 of Pin-Up Dare: Attached a sparkly brooch to my belt to complete my “Madmen” inspired ensemble. Day 5 of Pin-Up Dare: Added a black silk pin to a cord necklace to make a choker. 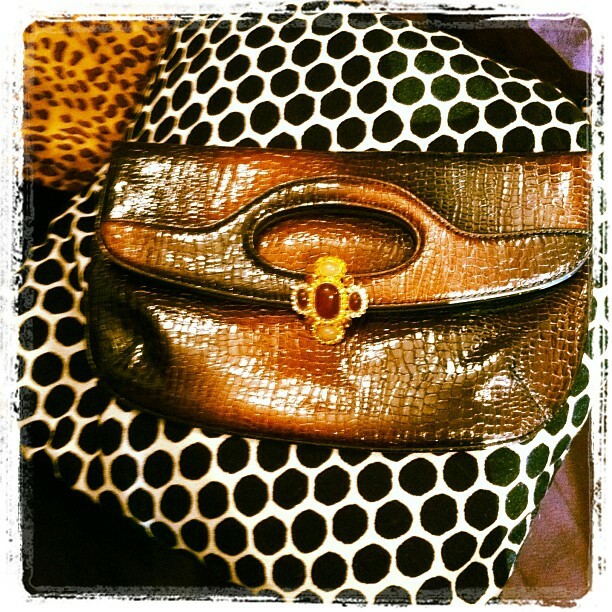 Day 6 of Pin-Up Dare: Attached a pin to my new “thrift store” fold over clutch. 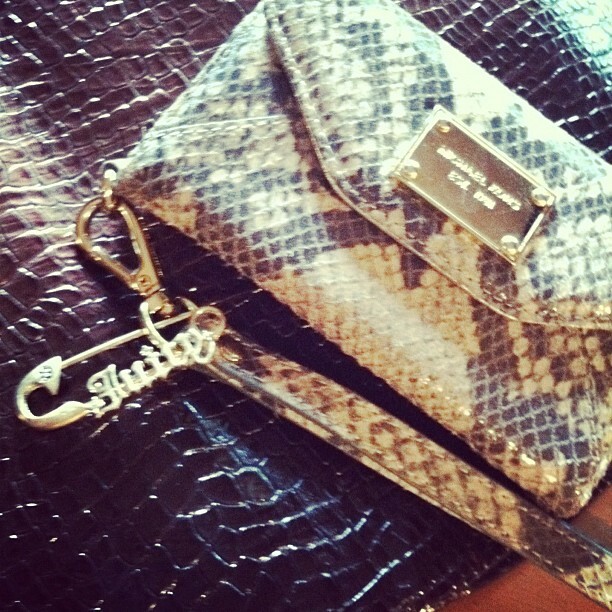 Day 7 of Pin-Up Dare: Added a Juicy Couture safety-pin charm to my Michael Kors iPhone wristlet. 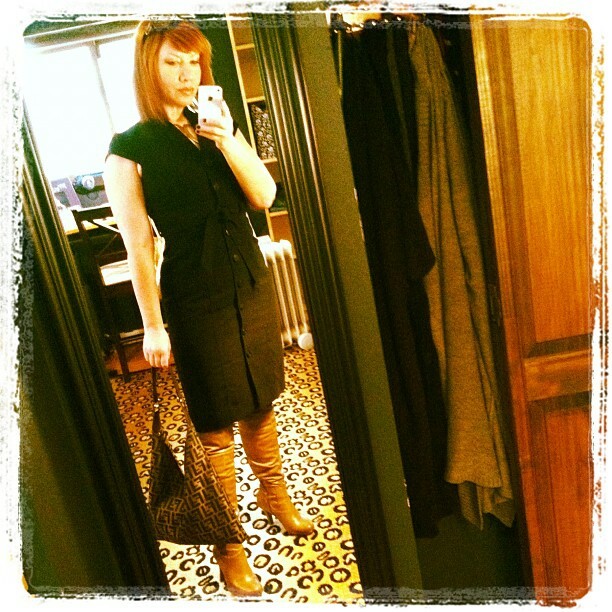 The Fox-In-Flats “Boot Dare” – to wear boots every day for a week. Boot Dare Day 1: Steve Madden lace-up ankle boots with Ann Taylor Loft dress. 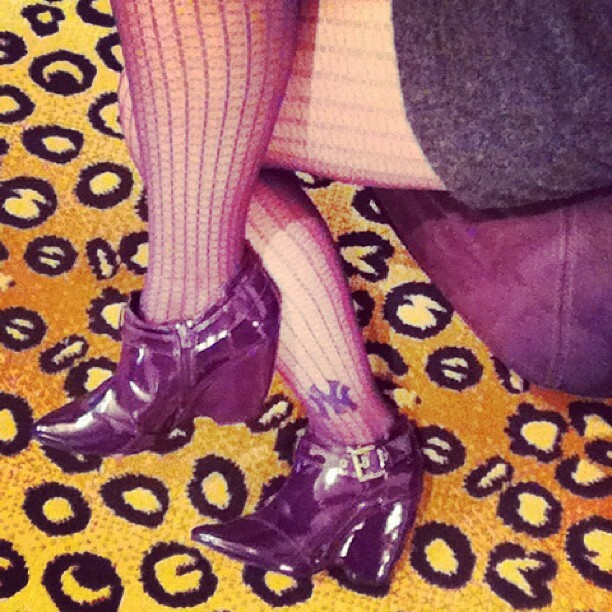 Boot Dare Day 2: Purple patent Newport News ankle boots with patterned stockings and Mango sweater dress. 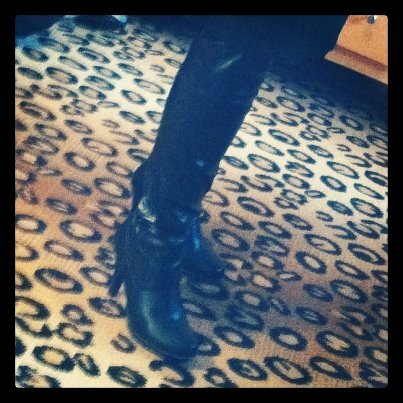 Boot Dare Day 3: Black over-the-knee Rampage boots from Macy’s with black Juicy Couture dress. Boot Dare Day 4: Ciao Bella riding boots with Calvin Klein silk mini-dress. 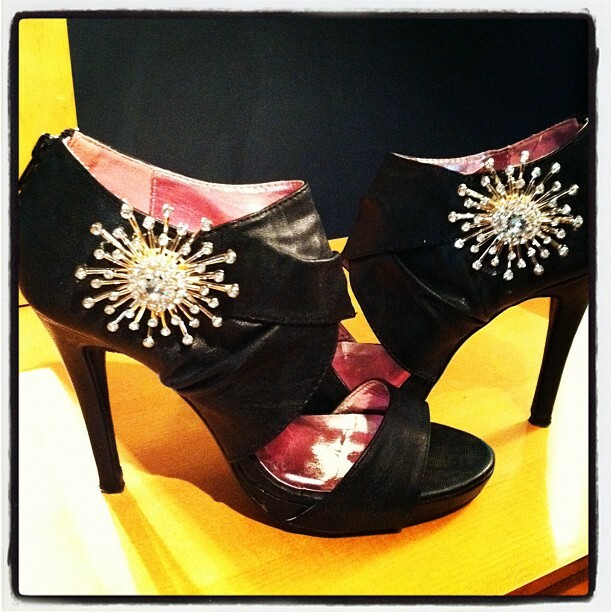 Boot Dare Day 5: Stella McCartney ankle boots with Donna Morgan chain & floral print dress. 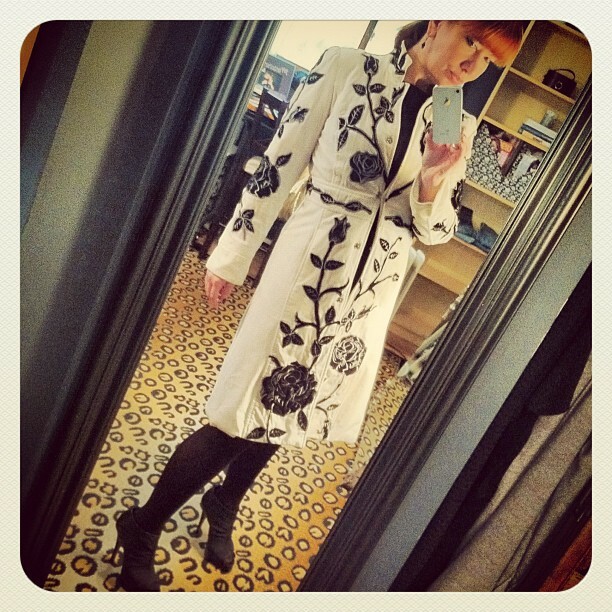 Boot Dare Day 6: Chinese Laundry stiletto ankle boots with black and white jacket from Newport News. 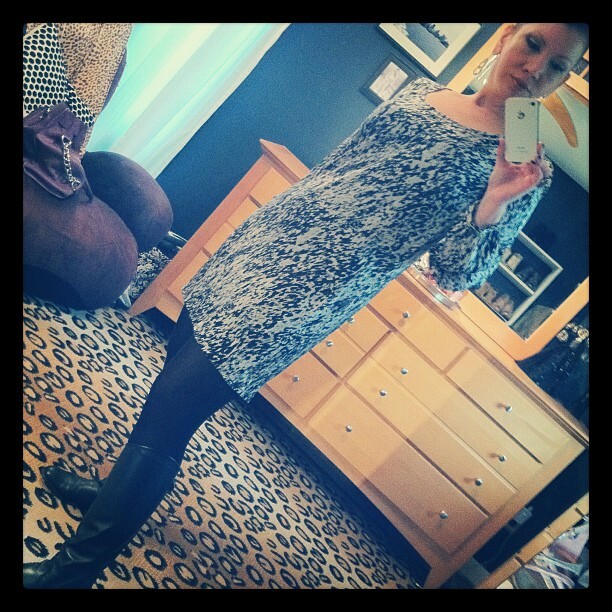 Boot Dare Day 7: Rampage over-the-knee boots in camel with Calvin Klein shirtdress.